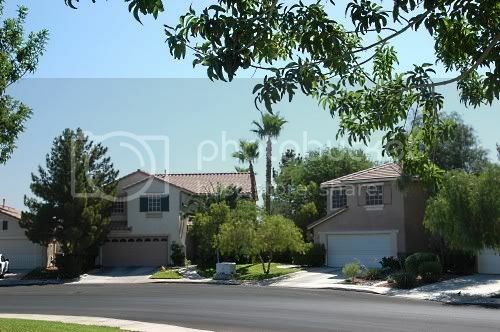 Las Vegas Home Secrets - South Valley Ranch - Henderson, NV Home of....Springfield & The Simpsons??? Yes, the Las Vegas Valley has home secrets. Of course we have a number of celebrity homes, both past and present, from entertainers to sports greats. Las Vegas locals may or may not know where they are, as they often blend into neighborhoods. I mentioned in the comments of my Donny and Marie Osmond post, that while I know, don't expect a map to the Las Vegas Celebrity homes. One of the reasons the valley has been popular with performers, athletes, and business moguls is that they can usually live here without much interference to their privacy at home. You can also find the unusual and unique here, like the Las Vegas Underground Home built by Avon founder Jerry Henderson. 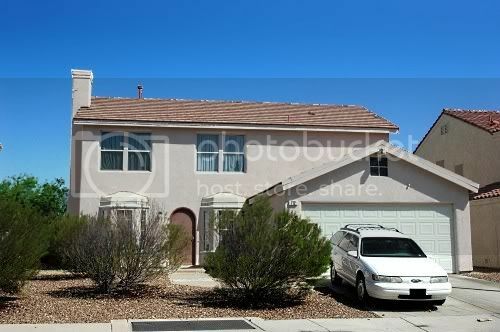 It's tucked away in a typical Las Vegas neighborhood just a few miles from the Strip. Before the guest house was built on top of it, the sophisticated mature couple would pull into their gated empty lot, only to vanish into their 'boulder' that housed the elevator to their nearly 16,000 square foot subterranean estate. What about neighborhoods themselves? Being here in the desert, many are surprised to discover lake front and lake view homes, from communities like Desert Shores, The Lakes, Lake Las Vegas, and the Lake Mead view homes of nearby Boulder City, with it's small town charm. Then there's the range of everything from mid-century modern to the tech of energy efficient green homes and the NextGen home creating the standards for tomorrow. There are local historical homes and businesses that have been relocated to Heritage Street at the Clark County Museum. Located just off Boulder Highway, so many pass right by these preserved period buildings from Las Vegas' past that are hiding on the tree lined street in plain view. 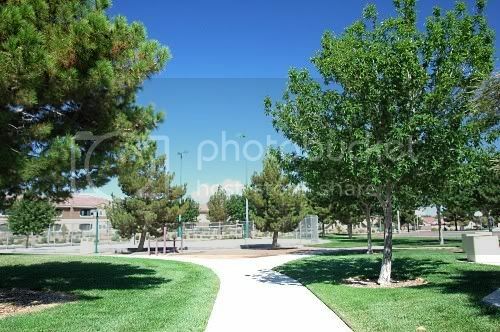 You'll find dozens of master planned communities throughout the valley, some with lesser known names than others. While you'll see them all the time, what may be hidden beyond the entrance? An exceptional community? Incredible Value? Recreation options? An interesting resident or bit of history, perhaps? 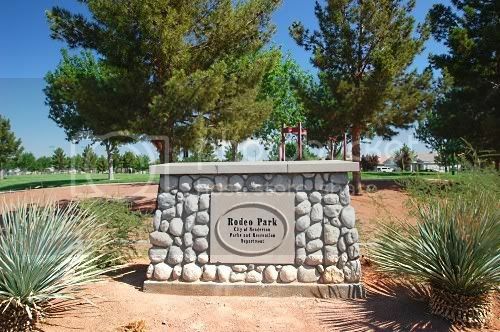 About 6 miles north of the museum, and again just off Boulder Highway, you'll come across South Valley Ranch, another affordable master planned home community in Henderson. Ahh, but it has it's share of secrets. 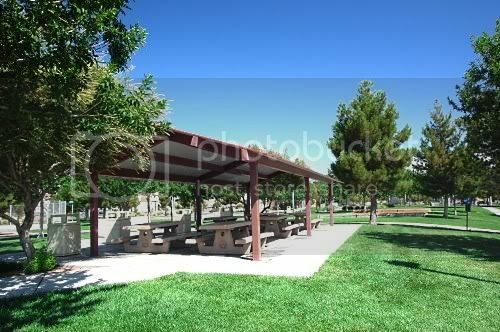 Yes, it has the 10 acre Rodeo Park, with picnic areas, lighted tennis, basketball, volleyball, ball field, along with horseshoe pits and much more. While you may not be aware of that little gem, there's still a larger secret lurking beyond the park. 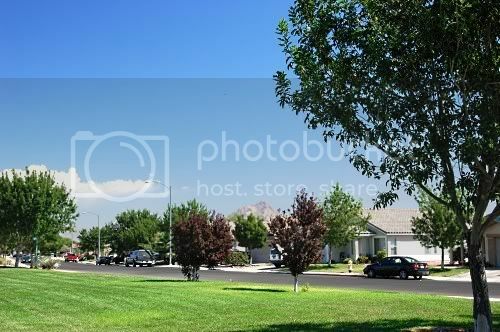 Sure, another clean looking, cozy community, with stucco homes that you might expect to find in various parts of the Las Vegas Valley. 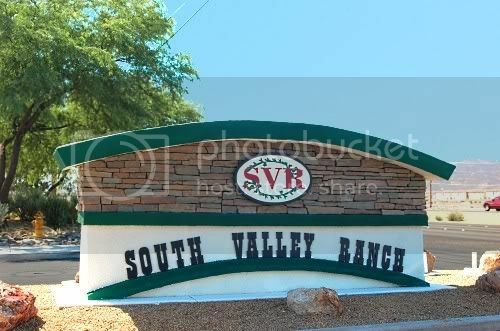 Well there is one of these South Valley Ranch homes, in particular, that has a secret. With FOX celebrating 20 years of 'The Simpsons', and auditions held for the upcoming Simpsons Anniversary Special '3D on Ice', I thought it was a good time to let everyone know that real life Springfield and The Simpsons home, was here in Henderson, NV. Take a look at the last picture above. Now just imagine it with The Simpsons style of artistic and colorful decorating touch. That's how the home looked when it was built in 1997 by Kaufman and Broad working with FOX, and as part of a contest promotion by Pepsi. After tens of thousands visited the home, complete with tours from Simpsons characters and ceremonies with locals and celebrities, the home was awarded to the contest's winner. It was later made over again to blend back into the neighborhood, as you'll see it today. While there was a Henderson Kwik-E-Mart on Horizon Ridge Parkway for a short time in 2007, the Simpsons' Springfield of Henderson home roots only have one remaining landmark. Take a closer look between the shrubs in the front yard. 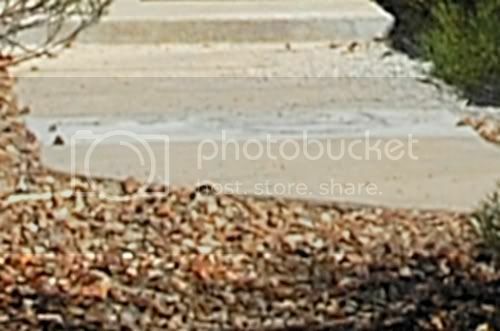 Notice that one section of concrete sidewalk that doesn't seem to match the rest? 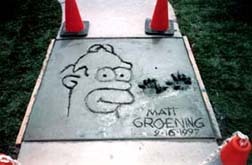 Well, The Simpsons' Matt Groening left this home with an original lasting 'Home-r', that you can See Here. 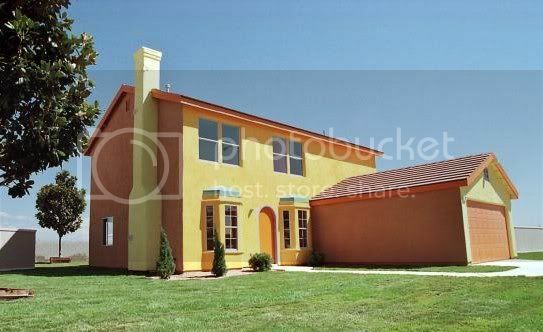 For more images of the home when decorated Simpsons style inside and out, pictures are found at this Animation World Magazine page ( the 'massive' at 1997 Internet speeds, video files may not play unless you have access to older video codecs), and there's also these multiple pages of pictures and information at RealPix Simpsons site. I hope you enjoyed finding out about another of the many secrets of living in Las Vegas. For home buyers everywhere, you may also realize the benefit of having a knowledgeable real estate agent working for you, that really knows the depth of your new community down to the most trivial details, as well as the business end of real estate transactions. Home buying is so much more than numbers, statistics, and market reports that are repeatedly copied and pasted all over the net. It's really about your life and how you'll live it. It's about finding the neighborhood that's right for you, and fits your needs. That's whether it's luxury homes and living among the stars, unique community features, convenience, recreation, events, history of where you'll live, or simply just affordable homes, rentals, or vacation homes that suit your personal tastes and budget. That's the real value of having the personalised service of a Professional REALTOR® helping you with your decision on your next home. Make that knowledge one of your priorities when selecting your next agent. With rare exceptions, home sellers pay for your agent's services, so why not chose the best you can find.